With regular dental visits and daily oral hygiene, your natural smile will last for years to come. Daily oral hygiene is the simplest way to keep teeth and gums healthy, regardless of age. If holding a toothbrush or flossing becomes hard for you, speak with our dentist about ways to overcome this problem. Certain dental products, such as electric toothbrushes and floss aids, can help. Remember, you may retire, but your teeth don’t! It’s important to take care of your teeth and gums to ensure a healthy body. 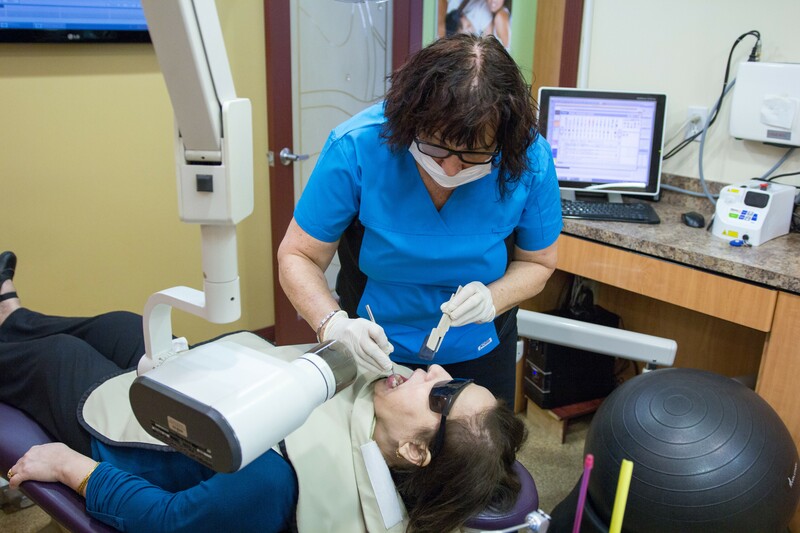 It is important to visit a dentist every 6 months for a regular cleaning and examination to determine if your oral health has changed and/or if it requires additional support. During an examination, we will also identify or rule out any possible health concerns such as diet deficiencies, eating disorders, anemia, diabetes, etc. If you have concerns regarding dry mouth or dentures, our dentist is happy to answer any questions and provide information on further treatment.